You’ve made a video, a gif, or a graphic. Now, how do you get the most mileage from all the places you plan to share it online? View the archived webcast below as Sarah Redohl, chief creative strategist of StoryLab LLC, shares her tips on maximizing the potential of your new media content and fitting it into your storytelling platform. 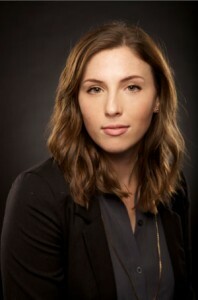 Sarah Redohl is the chief creative strategist of StoryLab LLC, based in Columbia, Missouri. StoryLab aims to bring the power of digital storytelling to everyone through the use of smartphones and tablets through custom training sessions and online courses. Since 2013, Redohl has taught multimedia and mobile journalism at her alma mater, the Missouri School of Journalism. Previously, she worked on projects for the Travel Channel, Harvest Public Media, and the U.S. Department of State, among others. Redohl has won both regional and national awards for her visual storytelling, and has been recognized as one of Folio: Magazine’s 15 Under 30 young professionals driving media’s next-gen innovation.